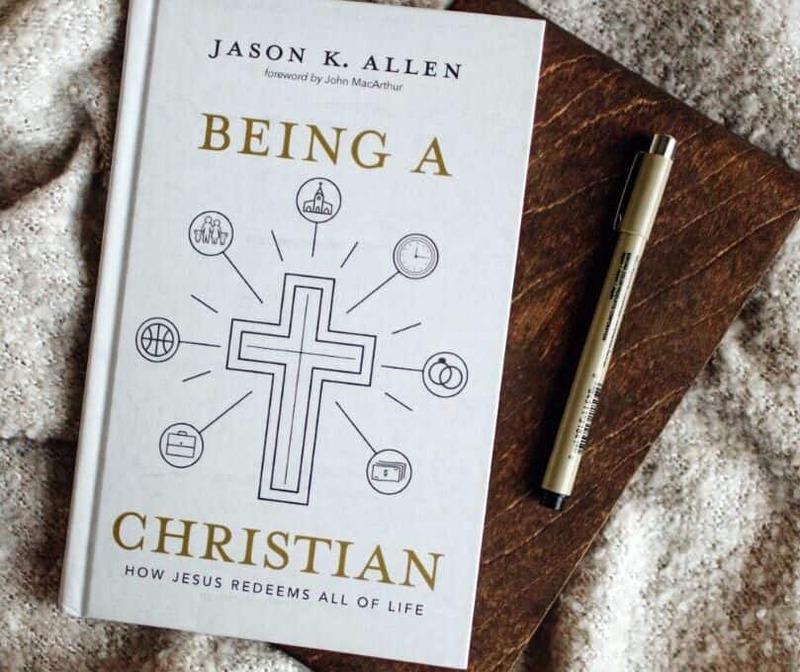 KANSAS CITY (BP) – Jesus came “for more than behavior modification,” Jason Allen noted upon the release of his book “Being a Christian,” Feb. 1. “As we apply the Gospel to every area of our lives, the life of Christ pulsates through us,” Allen, president of Midwestern Baptist Theological Seminary, said in an interview. In Being a Christian, Allen addresses multiple areas in a Christian’s life that intersect with the Gospel, from dealing with one’s past to how the Gospel affects marriage, family, work, recreation and church life. “When I came to Christ as an 18-year-old college student, I expected something of a change,” Allen recounted, “but what I had in mind was more like behavior modification than spiritual transformation. I knew Jesus died to redeem me but didn’t quite understand He’d died to redeem all of me. “My old life was driven by self,” Allen said. “Christ inverted all of that. Yet those who are inquiring about the Christian life also can benefit from the book, Allen said. The secret to the Christian life, he said, is that there really is no secret. It is simply loving and intentionally living for Jesus. Allen cites the transformation of the apostle Paul who – before his conversion, missionary journeys and New Testament writings – was a fierce persecutor of Christians, including the stoning of the church’s first martyr, Stephen. The key to Paul’s impact for the Gospel is that “he looked forward to Christian service, not backward in guilt, shame, or regret,” Allen writes. “View your sin as God views it: God has separated your sin as far as the east is from the west; He’s cast it into the sea of His forgetfulness. Remember, Jesus did not reluctantly accept Paul. On the contrary, He intentionally sought Paul and enlisted him into Christian service. “Rejoice in God’s providence: Whatever your background, whatever your past, rejoice in God’s plan for your life. He led you by superintending your steps and bringing you to a point of conversion. His providence is always good, beyond improvement. Thus, He crafted your story, including your past, for His own optimum glory. Allen, president of Midwestern Seminary in Kansas City, Mo., since 2012, also is the author of “Discerning Your Call to Ministry” and editor of “The SBC and the 21st Century: Reflection, Renewal & Recommitment” drawing from addresses by Frank S. Page, R. Albert Mohler Jr., Ronnie Floyd, Thom Rainer, Paige Patterson, David Platt, Danny Akin and other Southern Baptist leaders on various facets and concerns within SBC life. Among the endorsers for Being a Christian are Page, president of the SBC Executive Committee; Rainer, president of LifeWay Christian Resources; and John MacArthur, pastor-teacher of Grace Community Church in Sun Valley, Calif.